This fire was all encompassing of a large complex. This is first day on the scene. 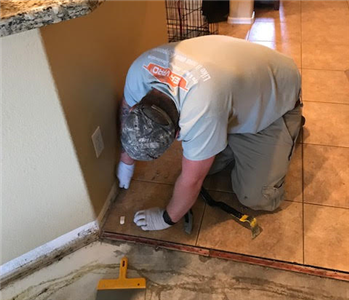 Austin is a long time employee of 8 years and has been overseeing numerous jobs since his return from his service in the military. 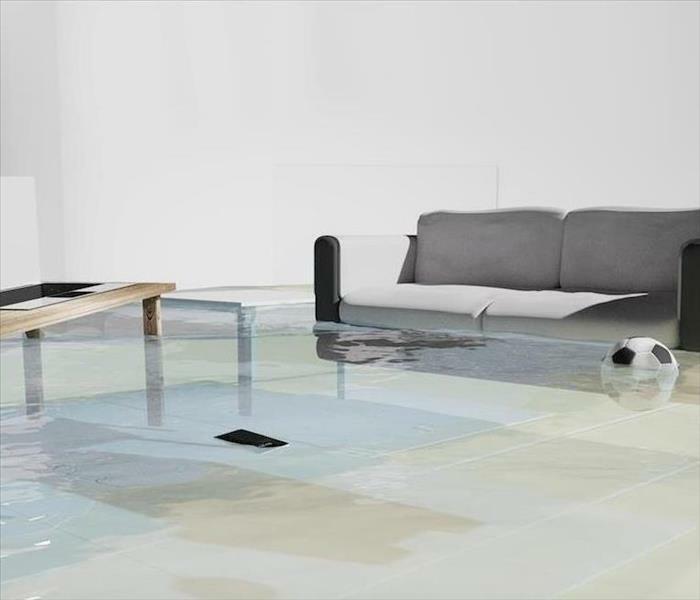 His jobs include water mitigation, mold remediation, fire clean ups, etc. 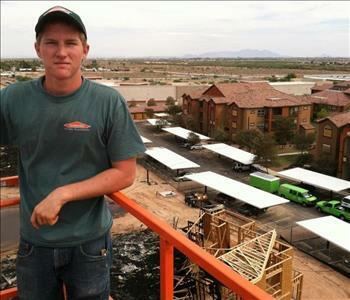 Sam is part owner of SERVPRO of Casa Grande. He has been in this field for more than nine years. Prior to this he was in the environmental field. Sam has certifications in Applied Structural Drying, Water Damage Restoration, and Applied Microbial Remediation from the IICRC (Institute of Inspection Cleaning and Restoration), plus Reets Drying Academy, Contractor Supervisor from the Asbestos Institute, Lead 40CFR part 745.225, Subrogation I, Blood Borne Pathogens and numerous other OSHA courses. He continues his education and certifications and stays up to date on each. 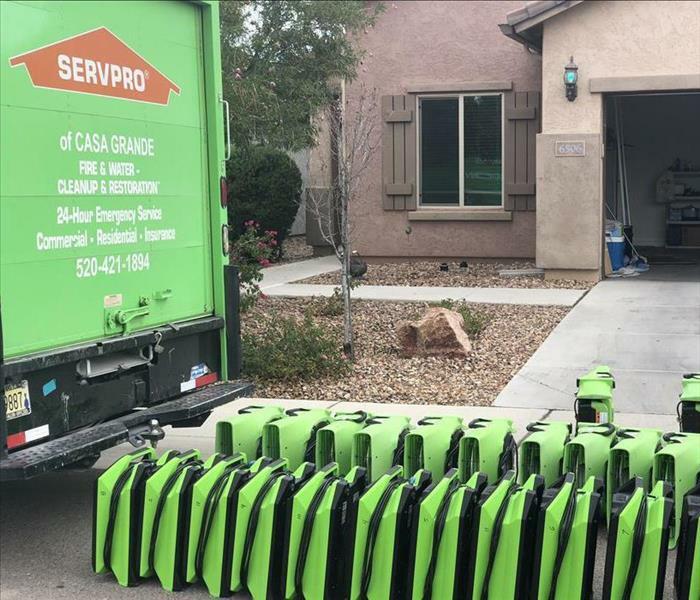 Through his years of experience in many facets of this industry, he has given SERVPRO of Casa Grande an impeccable reputation among our many clients, as well as insurance agents and adjusters. He works closely with insurance adjusters to help each customer get the individual service they deserve. Austin is carefully removing baseboard. Carpet/pad have already been removed. 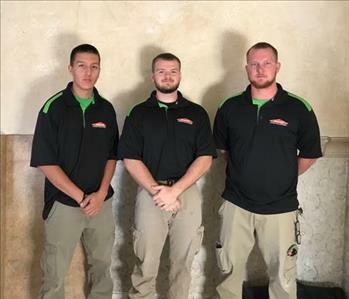 The softer side of SERVPRO. Ramsey is protecting homeowner's scared cat from the extractor. The crew taking a break.